High school is a busy and exciting time. 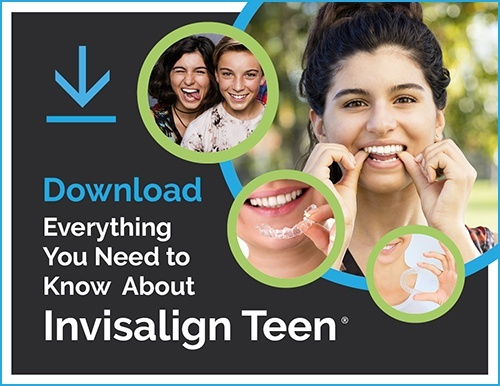 You’ve got prom, learning to drive, pep rallies, sports, music, looking at colleges, hanging out with friends and so much more, which means carving out time to think about orthodontic care kind of takes a back seat. Listen, we get it. It may not be a top priority now, but take a moment to think about the future. If you’re in need of orthodontic care, putting it off until college or later might not be the answer. Here are some of the benefits of getting orthodontic treatment in high school. Before you go off to college, think about all of the changes that are going to be happening. You’ll probably be on your own for the first time, learning to fend for yourself. Choosing to get your orthodontic treatment over with before having to deal with all of that grown-up stuff is huge. Not only do you still have your parents around to help guide you through your orthodontic care, you are also still under their insurance. If your parents’ insurance covers orthodontic treatment (not all policies do), be sure to take advantage of that. Another thing you may not know is you’re still growing in high school and your teeth and jaws are still developing. This helps your orthodontist to adjust your teeth into their desired positions. High school is also a great time to start with orthodontics since, unlike younger patients, all of your permanent teeth will have erupted, making it easier for your orthodontist to zero in on the issues and correct them faster. You’ve got to give yourself some credit. Now that you’re a little older, you’re able to understand the importance of getting that perfect smile. Since you’re a bit more independent, you’re more capable of adhering to the rules set forth by your orthodontist, which consist of avoiding certain foods, properly cleaning your teeth and making it to your scheduled appointments. Being a little older means you take your treatment more seriously, which will help you when you get to college or out on your own. Invisalign also promotes better oral hygiene since you can remove the aligners to properly clean your teeth and gums. Teens like this treatment option because it doesn’t interrupt life. They can go on with what they want to do, whether it’s playing a sport or taking their senior pictures, without having to worry. Other treatment options for teens include traditional metal braces and ceramic braces. Ceramic braces are the less noticeable option, as they are clear or tooth-colored to help blend in better with the teeth. Everyone has their own unique situation, which means what works for one patient may not work for the next. The important takeaway here is to not put orthodontic care off until you get too busy to deal with it. Having braces in adulthood can be a struggle with working, family responsibilities and various other obligations. That’s why it’s beneficial to get it out of the way early on.